A new system will link to a database of uninsured drivers. GARDAÍ WILL SOON be able to use handheld devices to check whether a vehicle is insured or not. Insurance companies are currently providing insured and uninsured vehicle lists to the gardaí, according to the Seventh Progress Update report from the Cost of Insurance Working Group which provides detail of the plan. These lists are based on vehicle licence plate number and insurer name, according to the report. This new system will in turn link to a database of uninsured drivers which was recommended by the Government’s Cost of Insurance Working Group in January 2017. The new handheld devices are currently being trialled and the first phase of the new plan to tackle uninsured drivers should be complete by the end of the year. Speaking on RTÉ Radio 1 this afternoon, Conor Faughnan, Director of Consumer Affairs at AA Ireland, welcomed the establishment of the new database. “We are told to expect roll-out of this before the end of 2018 which is only six or seven weeks away. So we’re very curious to see how it works. It will definitely be helpful and it should mean that the noose starts to tighten finally around 150,000 people on Irish roads who are driving uninsured and the rest of us pick up the cost for that. 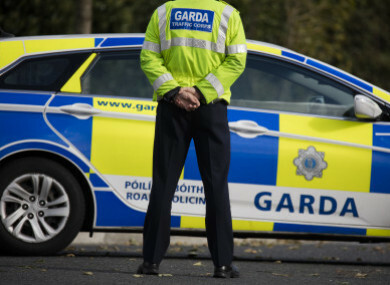 Email “New handheld devices will help gardaí identify uninsured drivers”. Feedback on “New handheld devices will help gardaí identify uninsured drivers”.